All Things Must Pass is Colin Hanks’ big fuzzy hug for Tower Records’ founder Russ Solomon and, I suspect, his own youth. The documentary now available on DVD tracks the rise and fall of the record store chain, attributing Tower’s rise to Solomon and its decline to the record industry. That telling skews the story a bit—Tower’s rise accompanied the growth of a rock-based youth culture in America—but there’s no question that Solomon’s free-wheeling management style helped to give the chain its identity/mystique. A few moments give you reason to wonder if Hanks gives Solomon and other executives a pass on their relationships to female employees, but tougher scrutiny would have been at odds with All Things Must Pass’ nostalgic reflection on record stores and by extension, vinyl. If you loved music, you could walk into a Tower and see your values and preferences spread out over a half-acre, and unlike record stores in malls, you could feel fairly certain that there was musical pirate treasure somewhere in the racks if you had the patience to look and the perspective to read the clues. Not surprisingly, there’s little dramatic arc to Tower’s story. Solomon’s company grew, partied, grew more, then died at the hands of Napster. Not surprisingly, the final section is the most emotional, though Hanks limits the film’s scope to the impact of Tower’s collapse on the employees. When it happened, I wrote a story on how it affected New Orleans musicians who sold their music on consignment at Tower, and for some the financial impact was painful as well. This week in hip-hop was bookended by two exciting weekends. Last Friday, Rae Sremmurd and PARTYNEXTDOOR released surprisingly mature (but still club-friendly) albums, their second and third efforts respectfully. This past weekend, reclusive R&B superstar Frank Ocean finally ended his painfully protracted album rollout/four-year hiatus, rewarding fans with not only the album they'd been waiting for so (im)patiently, but also with a separate visual album and a magazine thrown in for good measure. It was only amidst all this hubbub that Young Thug's activities could have gone as unnoticed as they did this week, at least to those who weren't paying attention. It started out last Sunday, when Thugger's friend (and the founder of his label) Lyor Cohen announced that the artist would be changing his name to "No, My Name is Jeffery" (Thug was born Jeffery Lamar Williams). Later, Thug confirmed the name change himself, but suggested it might be temporary. 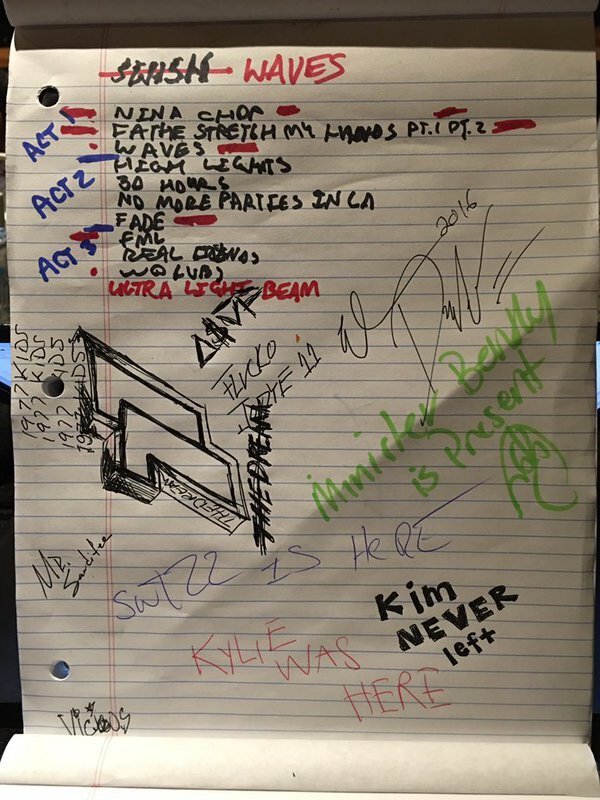 That same day, he tweeted a picture of the track list to his new project (also titled Jeffery as of now), scrawled almost illegibly on a notepad a la Kanye. On Friday, No, My Name is Jeffery (Jeffery for short) finally gave us a taste of Jeffery, in the form of what appears to be the track "Elton Jhon," according to the track list (or maybe "Elton John" or "Elton" or just "John" because who knows at this point).